Sometimes change can be seen far down the horizon, and whether it’s welcome or not, we have time to brace ourselves for what lies ahead. Weddings, a baby’s due date, graduation, and the changing of the seasons are usually predictable and provide plenty of time to prepare. But what about the changes that occur suddenly with little to no warning? What do we do when a routine screening tests positive for cancer? What happens when a meeting with your employer ends with a pink slip or transfer papers? How do we respond when a police officer knocks on our door with news that there has been an accident? When the proverbial rug is snatched out from under us, we have to be careful in choosing our next steps. To handle change in a healthy way, we need to be aware of our own instincts, surround ourselves with healthy relationships, and know our own limitations. When change comes unexpectedly, our fight-or-flight responses kick in. Some of us are naturally wired to attack the situation with every ounce of energy they can muster. They become consumed by it, believing they have the power and ability to make it go away if they fight hard enough against it. Others will push the change out of their thoughts or even live in denial of what has happened to them. They go about their lives as normal, neglecting what needs to be done and the changes that need to be processed. Whatever your instinct is, there is a verse in scripture that can help you accept change in a healthier way. Psalm 46:10 says, “Be still and know that I am God.” For those of us who are fighters, we need to remember we can’t face anything in our own power but we can with His! He is the creator and sustainer of all things, including your situation. So be still and let Him fight for you. For those of us who are runners, we have to remember that while this may be a surprise to us, it certainly isn’t a surprise to God. He promises to get us through any situation He has called us to, so stand boldly and let Him work His strength out in your life. The Bible is very clear that none of us are called to face life alone. Time and time again, it describes the disciples going out two by two or meeting in each other’s homes to encourage and motivate one another. When change takes you by surprise, don’t underestimate the power of a coffee date with a friend, or a phone call to your sister. Just as you would hope your loved ones would call you if they needed help or encouragement, your friends would be honored to face this challenge with you. If you don’t have a strong community of friends, pursue a membership in a local church. Make it a point in seasons of stability to surround yourself with healthy relationships with other believers so when change does come--and it will--you’ll have people ready to step in and lend a hand. While some changes can be managed with the help of a friend, you also need to be aware of your limitations. Some situations are far too complex to be handled alone or in the church. Sometimes professional counseling is the next step. We at New Vision Counseling and Consulting believe that by integrating God’s truths along with proven counseling techniques, we can help your mind, body, and soul as you cope with the changes ahead. We want to become part of your community as a source of encouragement, motivation, and understanding. If you would like to learn more about our services and see how New Vision can serve you or your family, contact us today. If you have a loved one who is struggling through a season of change, share this message with them so they can feel empowered to regain control in a healthy way. Is it Nostalgia or Fear of Change? Ah, the good old days…when life was easier, we were younger, and the world was as it should be. If you’re like most people, chances are you’ve surrounded yourself with items that bring back memories of a special time in your life. Maybe you’ve stayed in touch with friends and laugh over old photos on social media. Perhaps you kept certain items from those years, even if they are now outdated. You may even find yourself doing things a certain way simply because that’s how you’ve always done them. There’s nothing wrong with feeling nostalgic of the past. In some seasons, it can even be healthy to look back and remember the ways God blessed you. But sometimes, what we may mistake as nostalgia is actually a deeply-rooted fear of change. It is only natural to fear the unknown. We are creatures of habit and cling to what’s familiar. But if our eyes are constantly locked on the past and the way things used to be, we miss valuable opportunities to make new memories here in the present. Even worse, though, we take our eyes off of God and the incredible blessings He has in store for our future. 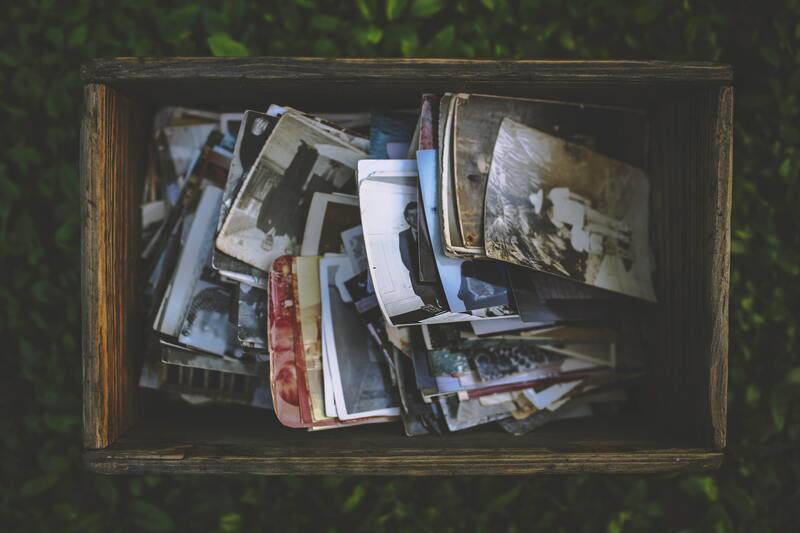 I had a client several years ago who shared the negative impact nostalgia had on her family. When she was in high school, her grandfather unexpectedly passed away. While she and her family grieved over this loss and painfully accepted the new way of life, her father became so fixated on the memories of his childhood with his dad, that for the next five years, her family wondered if any of the new memories they created were valuable to him at all. Her father was so fearful of what it would mean to live in a life without his dad, that he unintentionally forced his children to live without theirs. In Jeremiah 29:11 God makes a promise. He says, “I know the plans I have for you...plans to prosper you and not to harm you, plans to give you hope and a future.” You can’t afford to miss out on the amazing plans that are about to unfold, even if those plans come after a season of difficult and painful change. Remember, when God calls you to something, He will get you through it as well. So when you find yourself reminiscing, make sure you aren’t grasping for the past, but instead remembering God’s faithfulness so you can face this new season without fear. What memories are holding you so tightly in the past that you’re distracted from the present? In what ways was God faithful to you in those seasons of blessing? Do you believe God wants to bless you in this new season He is calling you to as well? Author ShawnPosted on September 20, 2018 September 21, 2018 Categories All, New Vision Counseling & Consulting, UncategorizedLeave a comment on Is it Nostalgia or Fear of Change?